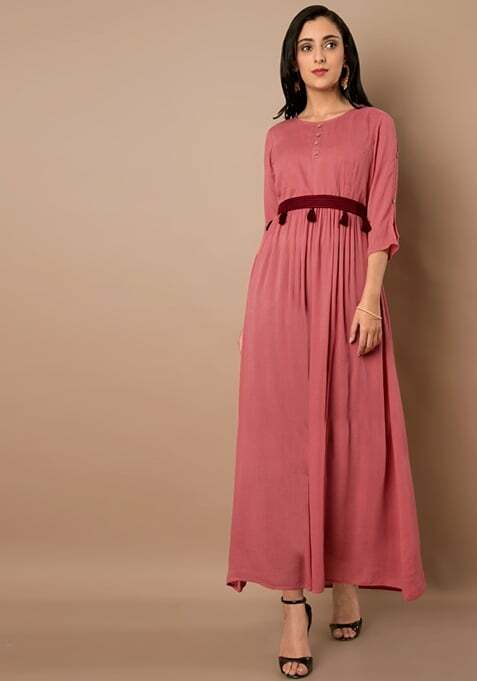 Elegantly tailored, this pink maxi tunic is your companion for casual outings. Beautifully decked with a tassel belt, this tunic has round neck and three quarter sleeves. Work It: Style it with smart footwear and wear subtle makeup.